For a while, during the whole second Superhero civil war and following the death of Bruce Banner, it really did look like Hawkeye’s goose was well and truly cooked. 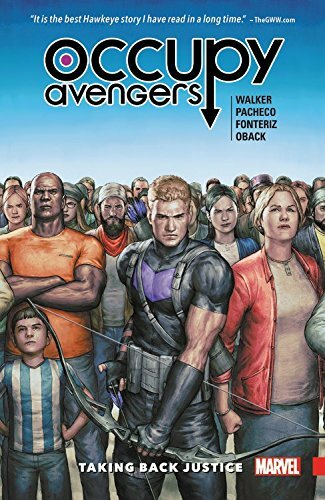 Forced into a position that, after making a promise to a friend, he never imagined that he’d be in, Clint Barton in an attempt to protect his comrades in arms and feeling as though he had no choice, did the unthinkable. He took the life of one of his oldest, and dearest, colleagues. Vilified by the superhero community and regarded by the populace at large as a hero, he was tried for, and found not guilty of murder in court, and set free. With no-one to turn to and nowhere to go, Hawkeye like a modern day Kwai Chang Caine, hits the road and sets off to find himself and rediscover his purpose. 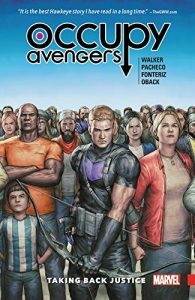 But some folks just can’t stay away from trouble as it has a habit of seeking them out and almost daring them to stop it, and Clint Barton is right at the top of troubles list.